Some of us religiously keep our class photos in our desk drawers. But is it fair to say that most of us do not remember what happened on that day? All we can recollect is standing awkwardly for a few minutes (or being told to sit down for the shorter ones), smiling, smiling, always smiling, and just hope that they pick the photo you look alright in. Would you remember the day if your class photo involved a helicopter, professional mountain guides, a few drones, a lot of rope and a climb up to 2400 meters? For the students of Hes-so Valais, the University of Applied Sciences and Arts of Western Switzerland, it should not be too hard to remember. 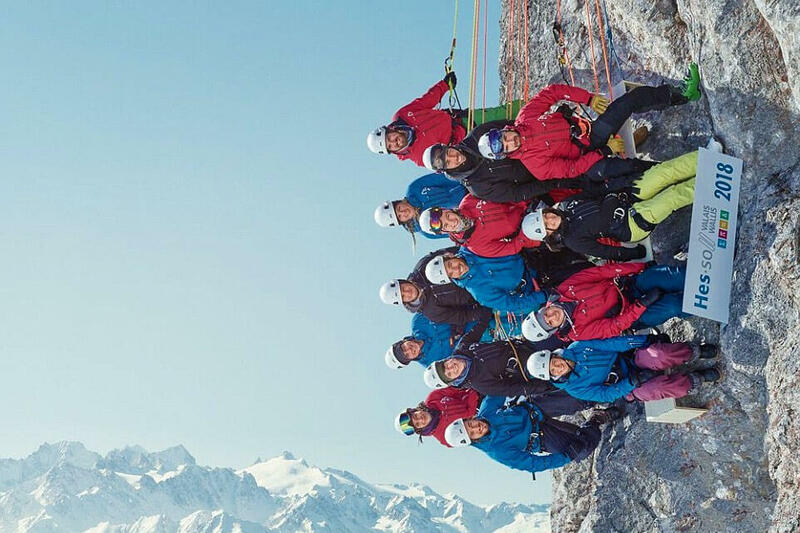 Fourteen of them took part in "the highest class photo in Switzerland," shot next to the peak of the Pierre Avoi near Verbier. The result is a breath-taking, ninety-degree shot of the students in their climbing gear - on a beautiful sunny day in the mountains! This amazing feat is part of a marketing campaign initiated last year by Hes-so. 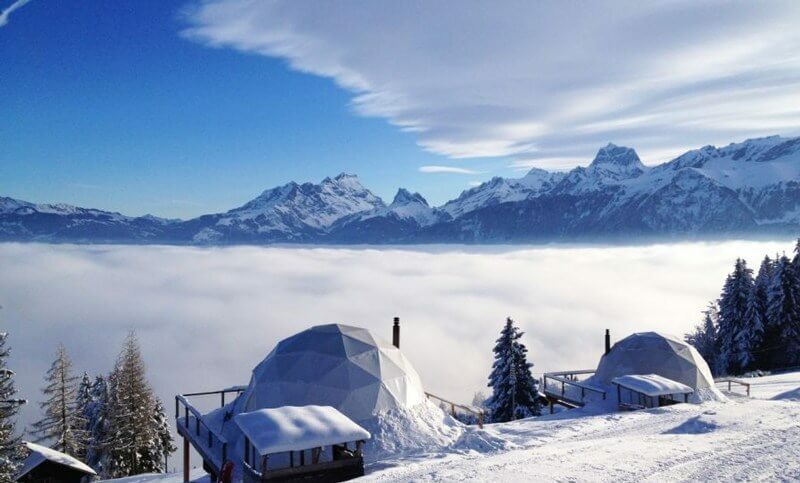 Their goal is to show people how things are done in Valais! 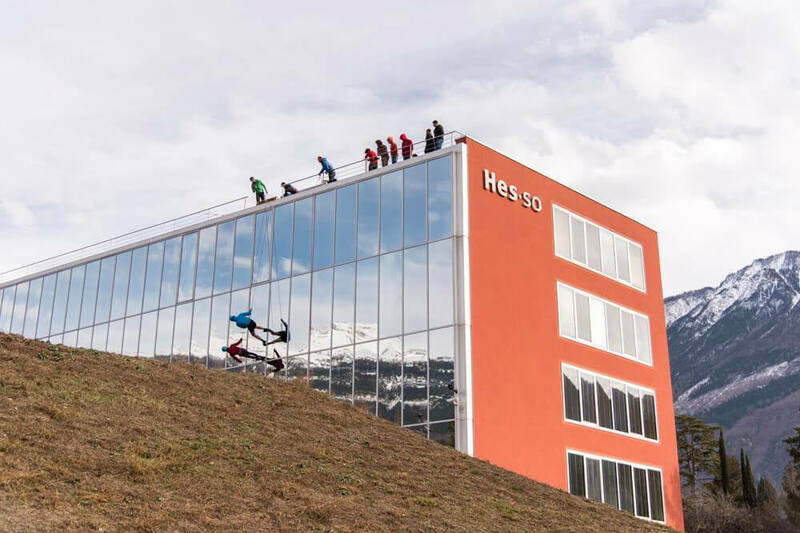 This year’s photo was printed and displayed on the building of the Hes-so in Sierre/Siders. The Bern based PR firm, Franz & René, imagined showing that the Hes-so was in fact a "very, very high school" (the name "Hes" stands for Haute ecole specialisée - a specialized high school). We can all agree that this photo clearly deserves an emphasis on the word "high". The students had a chance to ski back down to Verbier afterwards. A making-of video of the event has also been released, showing the full glory of this very, very special day. Since then, the event has gained international fame, with newspapers in Britain and beyond covering the news story. We can't wait to see what Hes-so Valais/Wallis has in mind for 2019! Should we enroll in order to be part of the act?